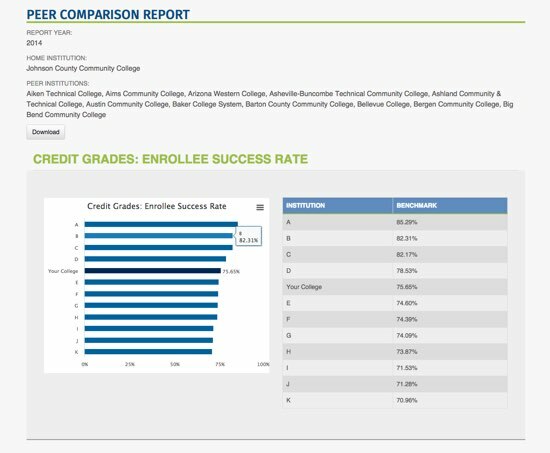 Find out how your community college compares to peer institutions across 150+ different benchmarks that you choose. Then, use that data to set goals, drive initiatives, frame realistic expectations—and demonstrate your commitment to your students and your academic mission. Compare benchmarks to other community colleges that submitted data. Your institution is identified by name while peer institutions are identified anonymously. You can select peers by name or by demographic characteristics, but individual college results remain confidential. Multiple peer groups can be identified and saved!